Morning family photo sessions might be my favorite. Mostly because I can show up with a giant mug of coffee and no one judges me – when I do that at 5 pm, I feel like people make assumptions about my caffeine intake. Correct assumptions. But still. Stop judging me. Haha. In all seriousness, I have really fallen in love with these sessions lately for so many reasons. Yes, coffee. But also, and more importantly: THAT LIGHT THO. 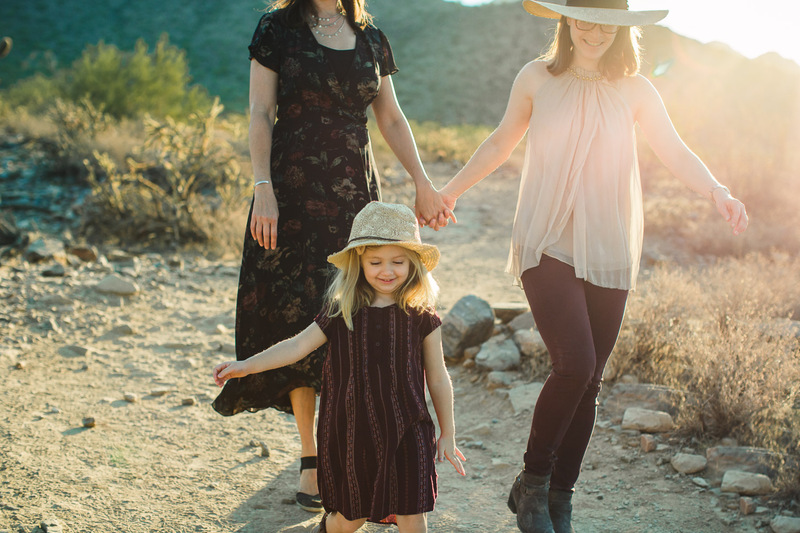 I typically schedule my family photography sessions for right around sunrise or sunset because that is when we get that beautiful, flattering, gorgeous, golden light. Cue all of the exploding heart-eye emojis. And the thing I like about mornings? We’re usually alone – the landscape is quiet, the hiking trails are empty, and we have the beautiful Arizona mountains to ourselves. Another bonus: mornings usually make for pretty happy kids. Now, I’m not saying we should wake them up early and yell at them about getting their clothes dirty and make them stand around and say, “CHEESE” for an hour before they’ve had their breakfast. But, if your family is full of early risers (if your kids sleep in, I hate you. Also, jealousy. 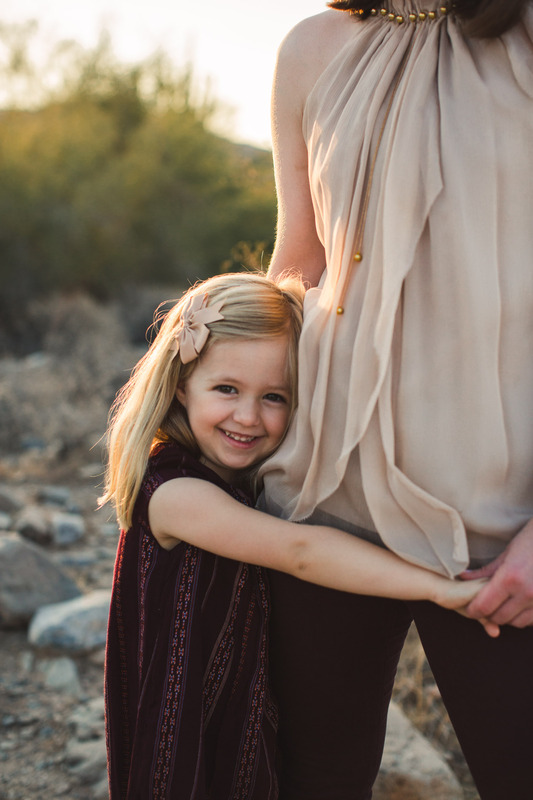 Lastly, teach me HOW) a morning family photography session could be perfect for you. We do a little posing, but then we just explore and tickle and run around and promise chocolate chip pancakes as a reward. Other perks of early photo sessions: Less opportunity for the day to go to sh*t and your kid skip her nap or fall on her face, thus making an evening photoshoot a total disaster. Less traffic getting to your session. Less likely to have one of those nasty afternoon thunderstorms roll through. Less guilt for having that 9 a.m. mimosa, because after surviving a family photo session YOU DESERVE ONE, GOSH DARNIT! Haha. 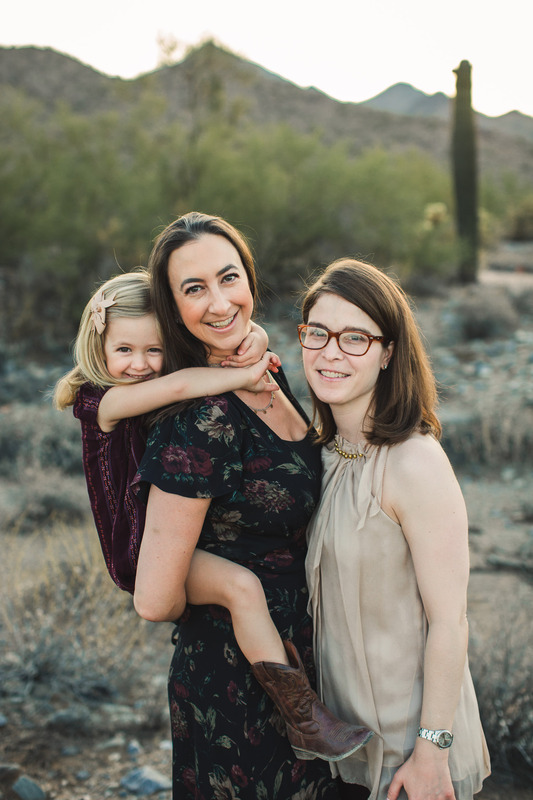 When this sweet family came to Phoenix for a little getaway, they knew they wanted a classic mountain location with giant cactus and that iconic Arizona feel. We met as the sun was coming up over the McDowell Mountain range, and I think you’ll agree – it went well. That sunlight, those mountains, the warm morning glow. That lovable little girl and those happy mommas. I’ve photographed this family 3 times now, and this is my favorite session yet. 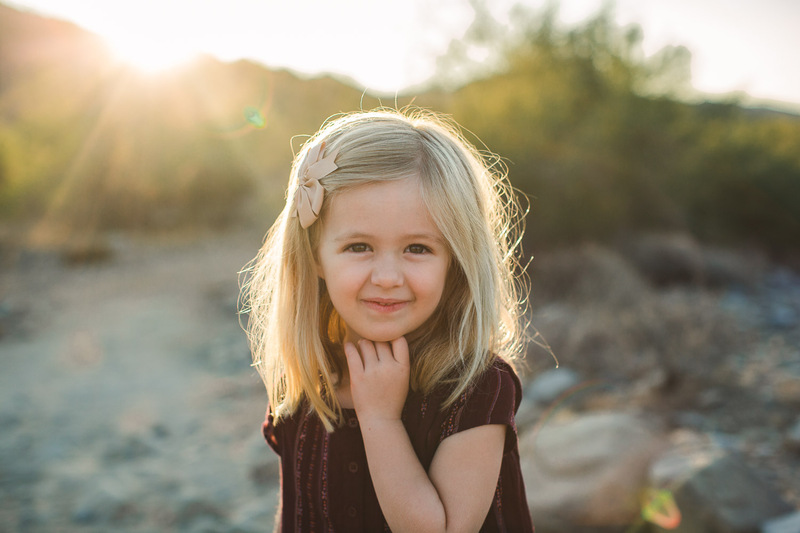 Virginia Stiles is a Phoenix Portrait Photographer specializing in family, wedding, and newborn photography. 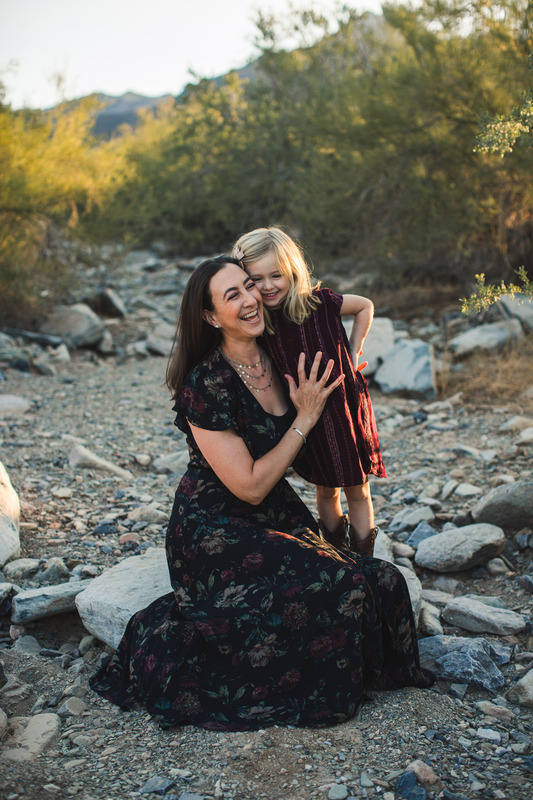 To learn more about her family photography sessions, click here! Get in touch now (click here!) to chat, learn more, and book your photo shoot with me. Wow! These are so gorgeous Virginia! I love your shooting style when working with families. 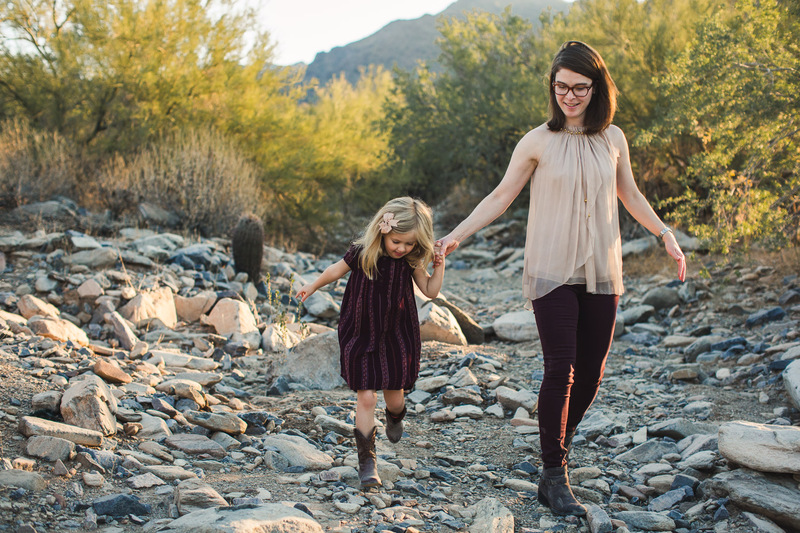 You continually make me want to visit Arizona for our next family portraits. These are breathtaking Virginia!!!! Ginny! You are the best – thanks for the sweet compliments! I have been so pleasantly surprised by how gorgeous it is here… especially the light and the landscape! Oh, and YES COME TO AZ WITH THAT CUTE FAMILY OF YOURS AND I WILL TAKE YOUR PHOTOS!!!!! These are stunning, Virginia! I saw one of these on Instagram and am so happy to see more, what a beautiful family <3 Your tones and lighting are always so rich and magical! Man I have got to get out to Arizona! That location is seriously stunning! Beautiful job, with so many fabulous candid moments. Love it! It’s so much prettier here than I expected!! Thanks for the sweet compliments! Haha. Oh, my own children will definitely not let me take their photos. We should trade!! I bet your kids would behave for me and mine would behave for you. Maybe?! Thank you, Kora!!! Means a lot that you checked out the post! Your work is amazing and I love the real you spread! Everything about this is just gorgeous! What a beautiful family and such lovely work from you! 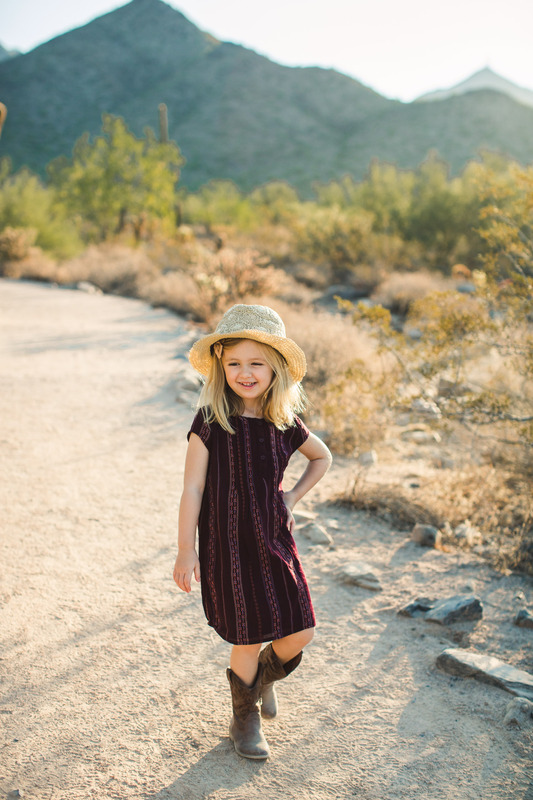 Such cute photos, especially of the little girl with the hat and boots! Definitely inspires me to shoot more mornings! She is the cutest and was so fun to photograph. Thanks for the love! Holy cow this is breathtaking! 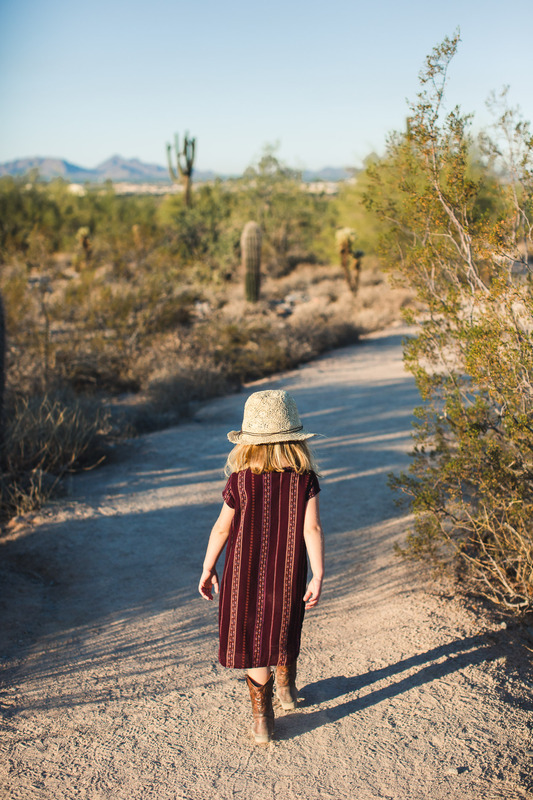 What a cool location for a family photography session in Arizona – I’ve only been to Scottsdale once and I loved it! 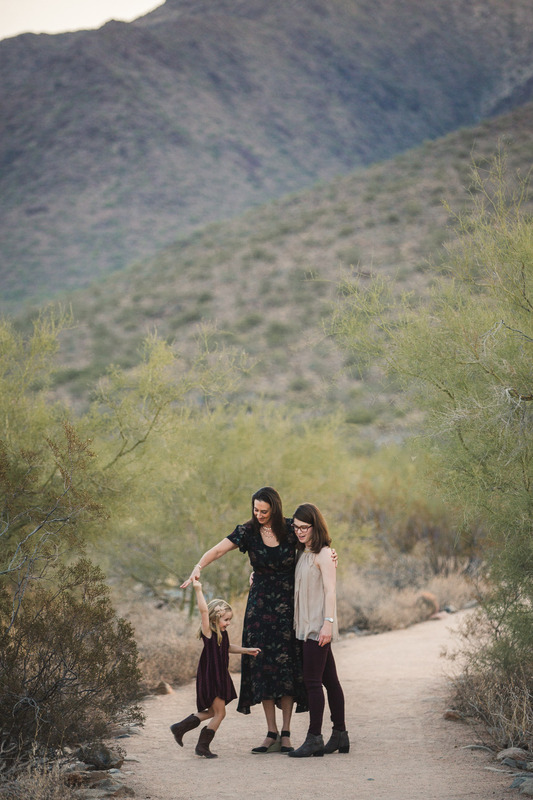 It must be so cool to be a family photographer who has the desert as their backyard! Thank you, thank you! I like here more than I ever expected – having so much of the mountains and the outdoors so close to our home is incredible! 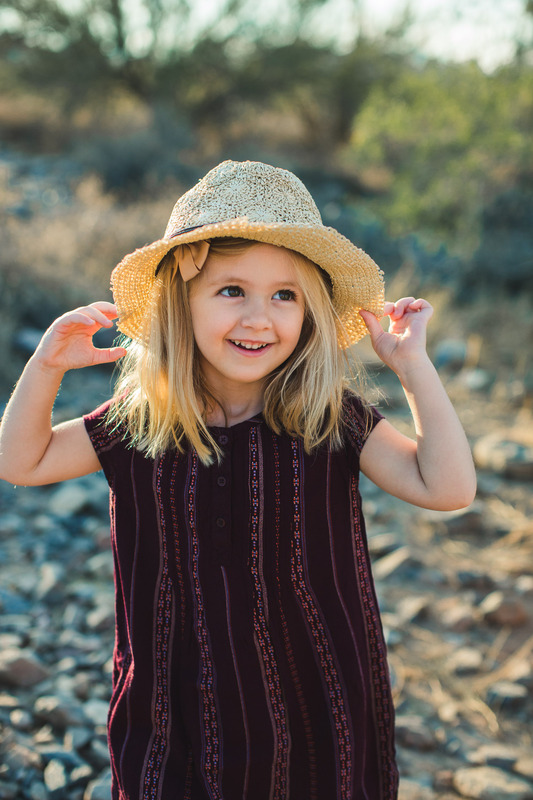 McDowell Mountain is such an amazing location for portraits. We don’t have anything like that in NC and I am super jealous! I LOVE LOVE LOVE their outfits. They go together perfectly. They look like they are having so much fun in front of your camera. 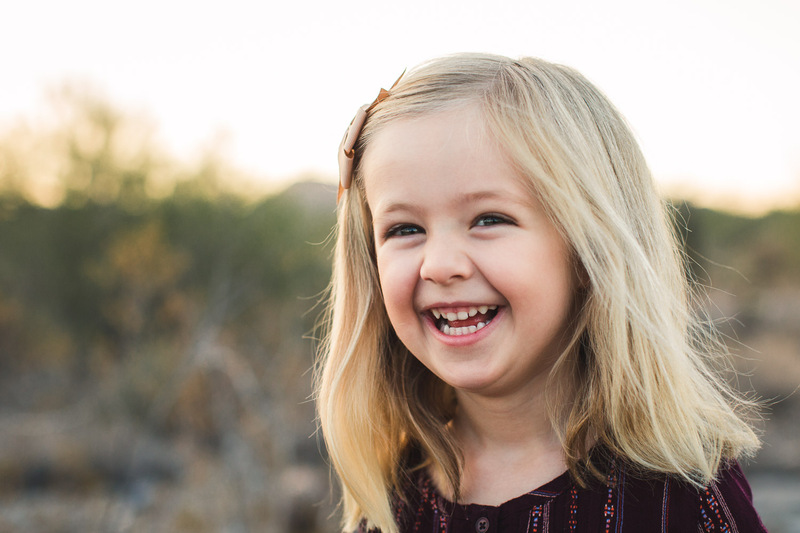 You are a very talented Scottsdale family photographer. They will cherish these memories forever. The light in Scottdale is such perfection. The McDowell Mountain range is beaming in the morning sunlight. 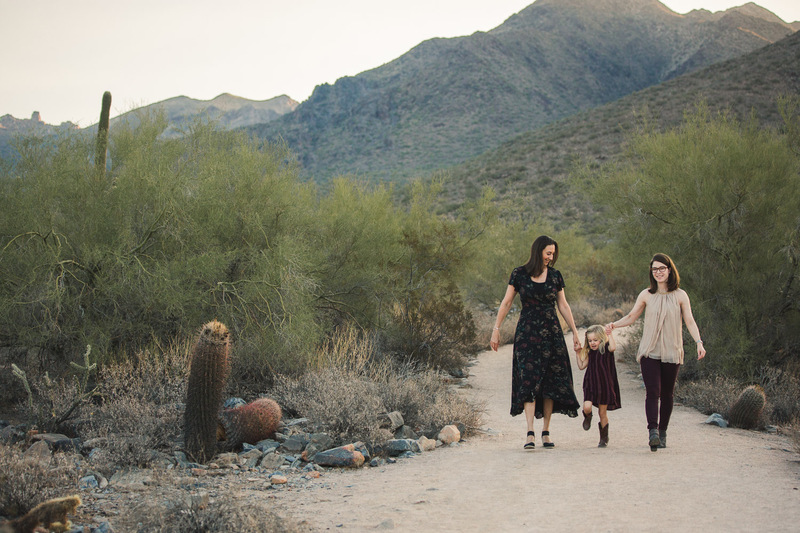 Isn’t so fun to be a family photographer in such a beautiful location like Arizona? Lovely family session. Thank you so much! Yes! 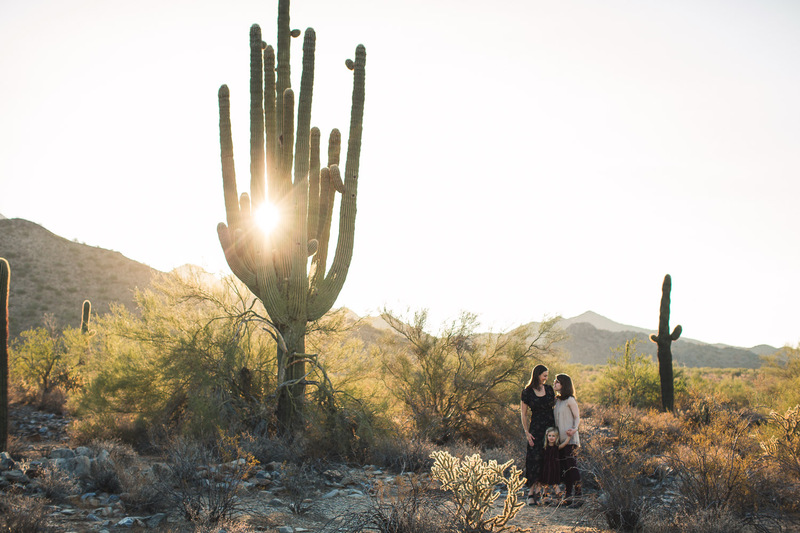 I love shooting in Phoenix & Scottsdale – it’s so pretty here! Look at you capturing that gorgeous Arizona light! I hope to see more of your Scottsdale Photography. This family had the sweetest smiles! Thank you so much!! I love the light here – as you know, it’s so gorgeous. And I can’t get over how pretty the landscape in Arizona is. Maybe someday I’ll run in to you when you’re here! Thank you!! Flights are cheap, you should come to AZ! 🙂 And I’m always jealous of the Portland greenery and dramatic skies! Your work is stunning! 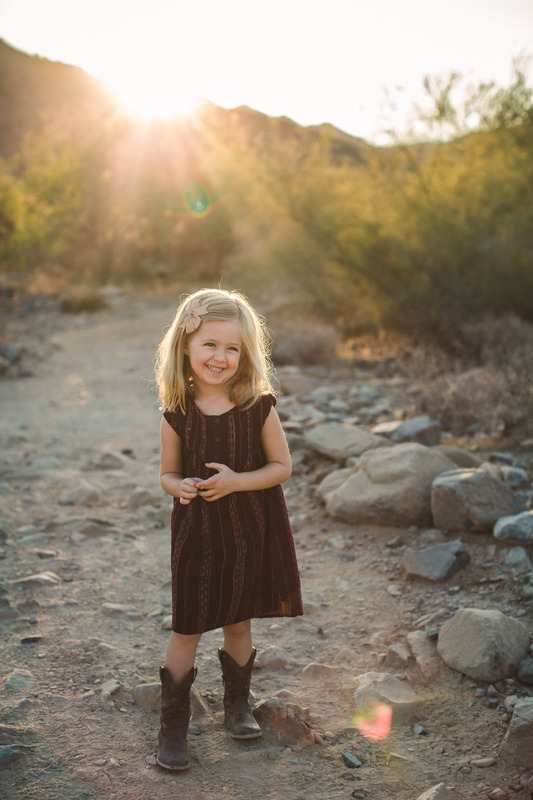 I love your images, seriously you are the best Scottsdale family photographer! Thank you so much! I love what I do! What a bunch of models!! I would love to shoot a stylish family like this!! They are a photographers dream. Wonderful shots! Thank you! And totally – they are the cutest family! What an awesome group of ladies! I love all the giggles & play. And I’m glad someone is a morning person because I definitely am not, but somebody need to capture this beautiful sunrise light in this gorgeous Scottsdale location and there is literally no one better than you, Virginia! Beautiful family photos! So it’s cool if i book and session with my husband and two black cats right? That normal, i’m sure of it. BECAUSE now i need family photos in Pheonix. I NEED THESE. There so perfect well done! Oh my goodness, is this what Phoenix January’s look like?!?! If so I need to be there, now. These photos/memories are to DIE for! 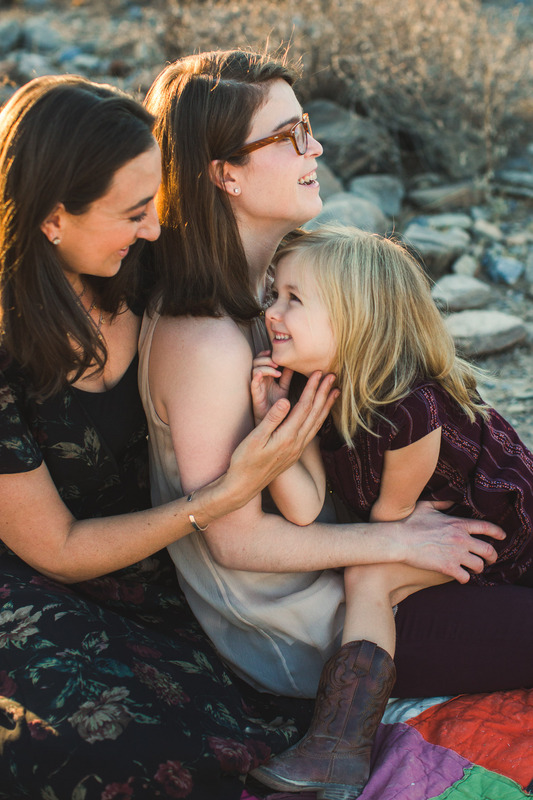 Incredible work with this family photography session. 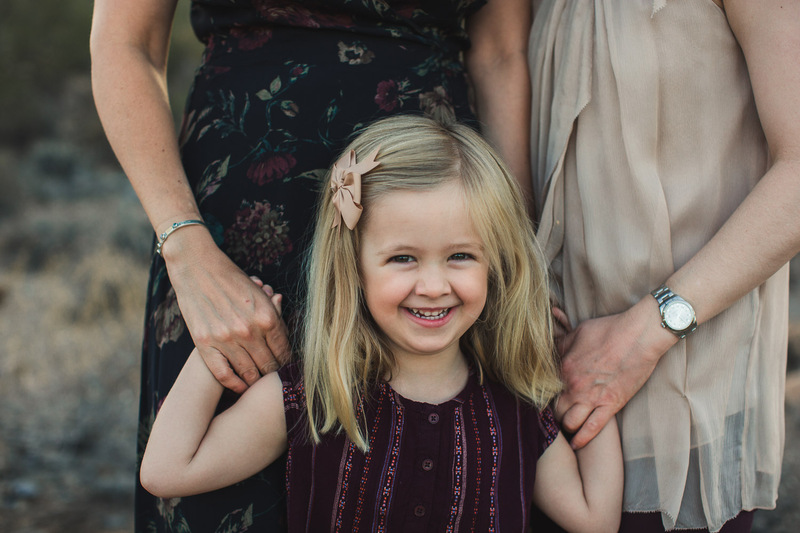 This family session is so precious! Love the use of light and contrast. 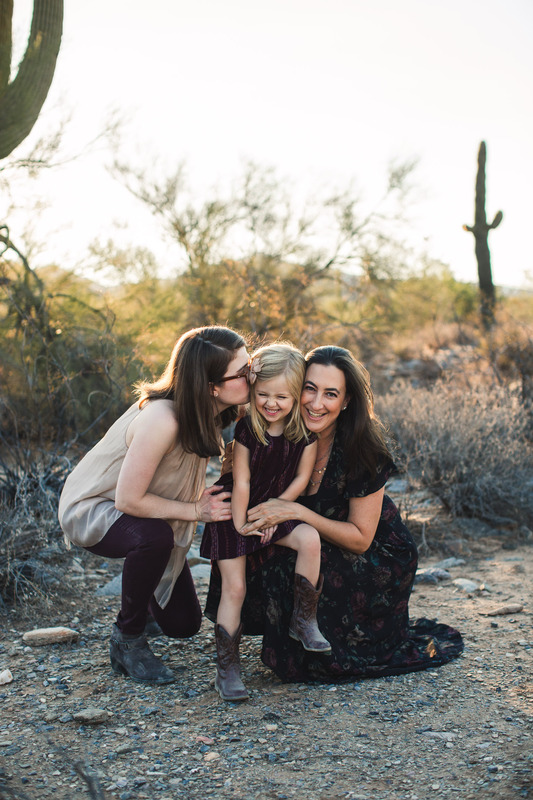 Phoenix is luck to have a Family photographer like you! Could this session have been anymore perfect…. I mean, beautiful children, gorgeous light, incredible work.. you really outdid yourself! 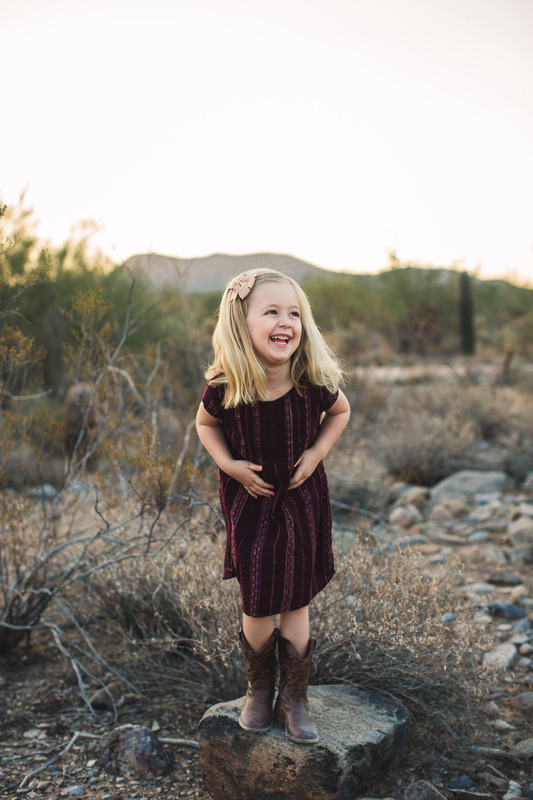 I wish I was closer to scottsdale, I’d hire you to photograph my family for sure ! OKAYYY I am SO jealous of these Cactus! I had no idea that Scottsdale had such beautiful landscapes. It makes for amazing family portrait photography, that’s for sure! Seriously I have always loved your style and these are just freekin gorgeous! 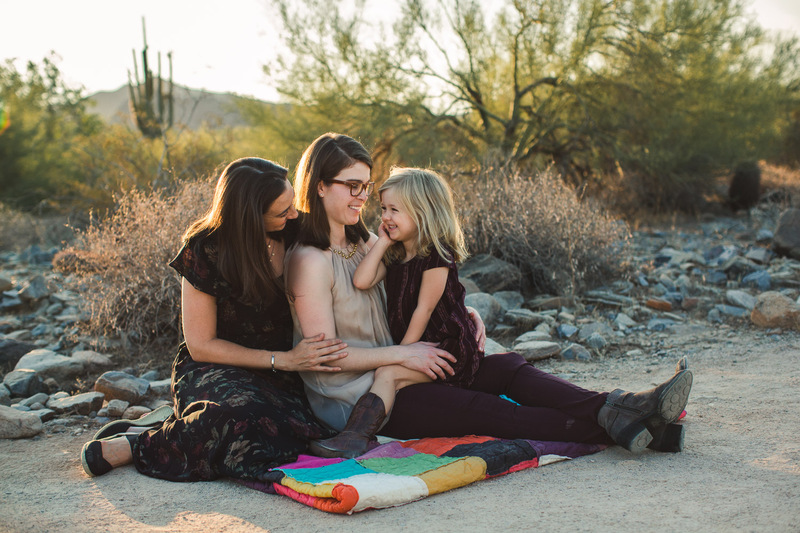 If I’m ever in Arizona I’m having you take my family photos! 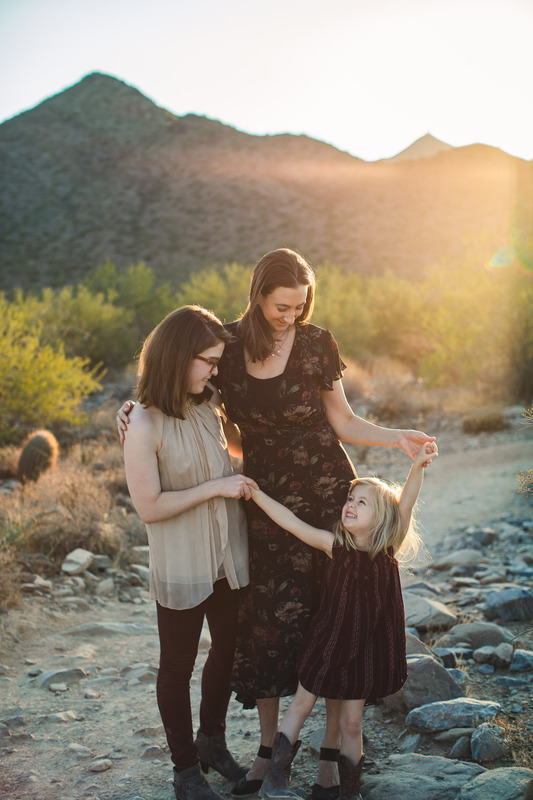 These are gorgeous family photos! I love thag morning light in Phoenix, so soft and flattering. And this location is incredible! Shhhhhh i’ve got a coffee addiction to. 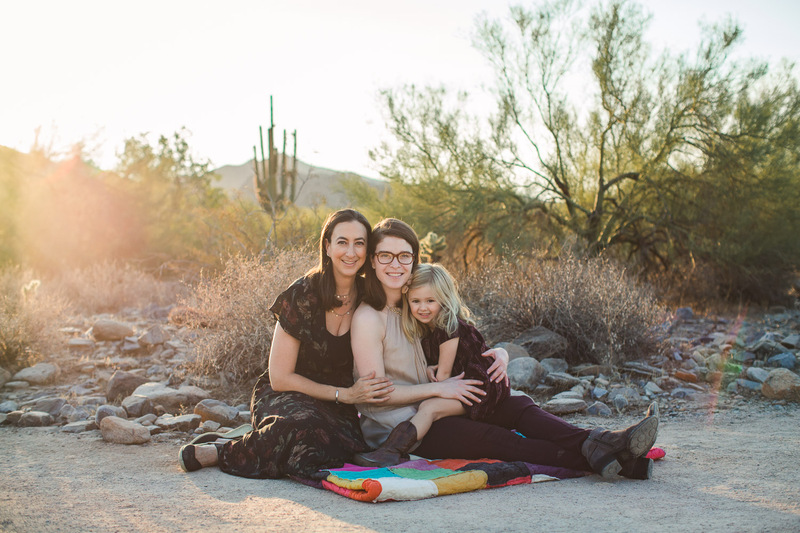 These photos of the Scottsdale family are so adorable I really wish we had cactus around!! 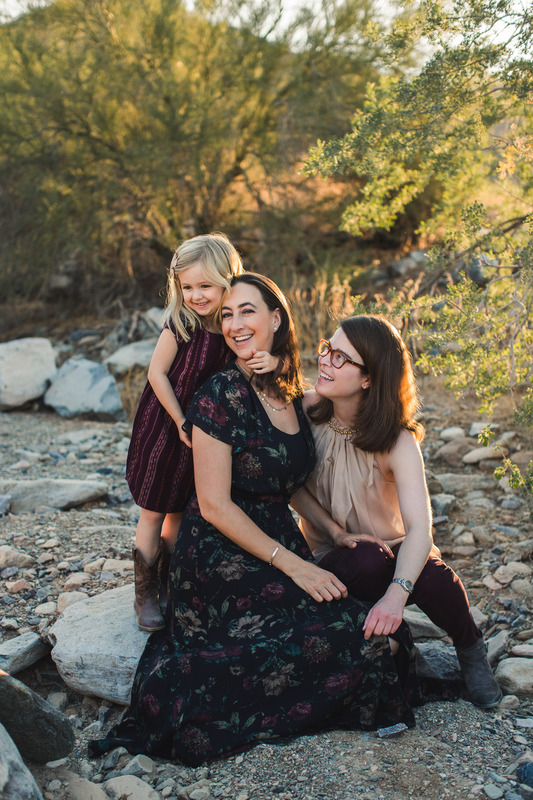 What gorgeous family photos! Even though I’m not a morning a person, you are so right it would be so much better for my kiddos and that gorgeous light is worth it! Now to plan our trip to the Arizona mountains cause wow BEAUTIFUL!